We work throughout the Bradford area, supplying stunning conservatories, bi-folding doors and double glazing. We don’t employ pushy salesmen so you are guaranteed an honest price that won’t change. To guarantee a smooth process from your initial call through to design and completion, our surveyors will handle your project and be on hand throughout. You will get the best price and receive exceptional standards of service and workmanship. Ring us now and hear why we are different. All our work is tailored to the individual, and is completed with great attention to detail by our specialist team of installers. 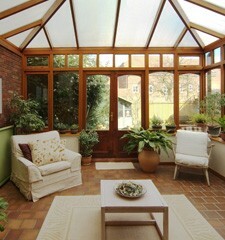 We will marry up your garden and home with an attractive, modern conservatory. Alternatively, you could choose bi-folding doors that flood rooms with natural light and give your home the ‘wow’ factor. Call our Bradford office for free on 0800 011 4195 and speak to us today.